The average cost to incarcerate a person for one year is $29,000. I hate this expense so much. Hear me out, I'm all for criminals doing the time. But, since "doing the time" is costing college tuition, I think inmates should learn something for that kind of money. We should at least teach inmates how to get out of prison instead of how to stay in. If you find yourself locked up in Jacksonville, Florida, look for a man named Rickie Shaw. Mr. Shaw can help. 650,000+ ex-offenders are released from prison every year. Two-thirds of ex-offenders, or 429,000, will likely re-offend within three (3) years. This problem is the one Adam Causey, writing for Jacksonville.com, covered a while back. It's still one of the best videos I've seen for showing why rehabilitating inmates is vital and how NFI helps. 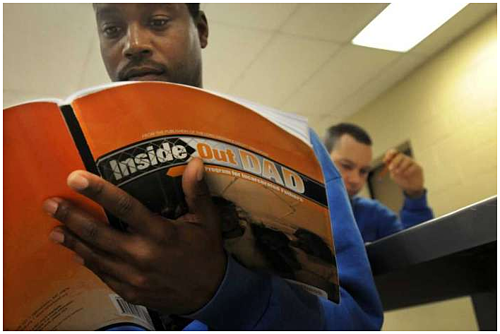 Rickie Shaw, a Community Outreach Development Specialist with Family Support Services, teaches weekly sessions of NFI's InsideOut Dad® program, the fatherhood program for inmates to learn the skills they need to be a better father. He teaches at the James I. Montgomery Correctional Center in Jacksonville, Florida. As you might imagine, prison inmates make for a tough crowd. But, Rickie Shaw has learned what it takes to connect. He says in the video that follows,"I am man. I am dad. So are they. That's a natural connection. But, they have to understand, I'm genuine. That my motivation is not to collect my two-week check. I'm here to make sure these men make a difference in their children's lives." Please take time to watch this video. Rickie Shaw gets it. He'll be the first to tell you parenting is a learned skill. 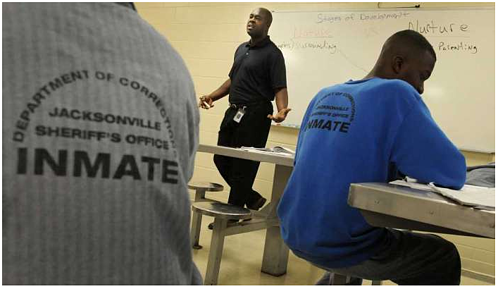 If you find yourself at Jacksonville’s Montgomery Correctional Facility on a Monday or Wednesday, you'll find a group of inmates learning how to be men. From discussions on relationships, communication, and discipline, there's nothing out of bounds when it comes to preparing inmates for release from prison. It's all part of the InsideOut Dad® program. Family Support Services of Northeast Florida is the nonprofit that handles local adoptions and other state-funded social services. They expanded the program to Duval County after it worked well in other parts of Florida. 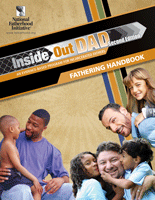 Adam Causey, the writer of the aforementioned article, recalled upon visiting an InsideOut Dad® class, that men were learning about developmental stages of children. He recalls inmates "laughing as they read about babies as young as two months being able to mimic smiles..." Inmates also learn, that by ages 1 and 2, kids grow inches in just months and add four to six pounds a year. Have you ever been locked behind bars? Hopefully you haven't. But, consider this, the physical changes of a child happen fast. When you're locked up, one year can mean missing out on a lot in a child’s life. I can see the wheels start turning in their head...they start to bring back conversations that they've had with their mates through letters and visitations. They start processing things that happened in their past with their moms and dads when they were kids. They're looking for answers and solutions to things that shaped their lives That's when I know I'm being effective. The biggest misconception about inmates is that whatever got them here, they have to be punished and no rehabilitation. I think the original thought behind imprisoning someone was that they would have the time to rehabilitate—maybe change the behaviors that got them bars. Classes like InsideOut Dad® and GED programs and various drug abuse programs and domestic violence classes, those are the rehabilitative devices that are definitely needed in a place like this so that they can come out with skills that they didn't have when they came in. I see this as a true opportunity to help rehabilitate someone and help put them in a better place. I don't live or have family in Jacksonville, Florida. But, I sure hope that if you or someone you know is behind bars, they have access to someone like Rickie and NFI's program. This kind of education may just be more valuable and life changing than a college degree.